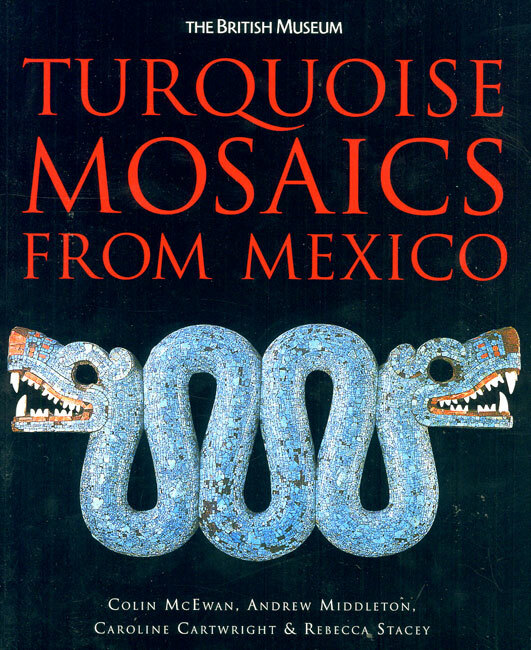 The book, richly illustrated, provides a fascinating introduction to the magnificent collection of turquoise mosaics held by the British Museum, featuring important new findings made by the Museums’ Science Group. 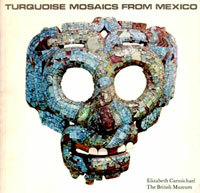 The nine mosaics in the BM’s Mexico Gallery (pic 1) include masks, a shield, a knife and a helmet, all originating from the Mixtec and Aztec civilisations. 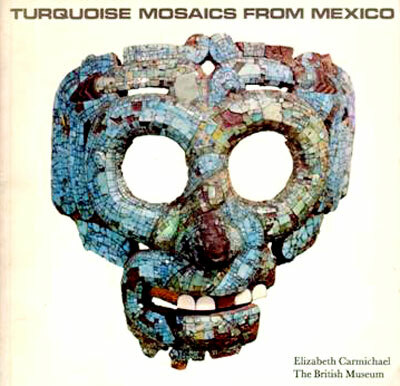 The book brings right up-to-date current scholarship on the mosaics, first assembled in Elizabeth Carmichael’s pioneering but long out-of-print book ‘Turquoise Mosaics from Mexico’ (1970) (pic 2). 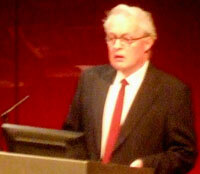 As the authors explained at the book launch - held in the Clore Education Centre of the British Museum on Thursday October 26th. 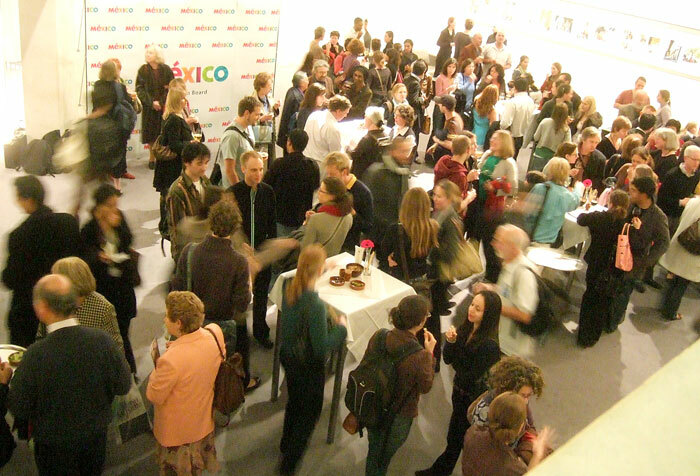 2006 - ironically the book’s long gestation period has worked in their (and our) favour, as the technologies involved have advanced many-fold in the last decade. Fate has been relatively kind to us in bequeathing these extremely rare pieces to us in comparatively fine condition: rumour has it that some of the mosaics were ‘...found in jewellers’ workshops in Florence. 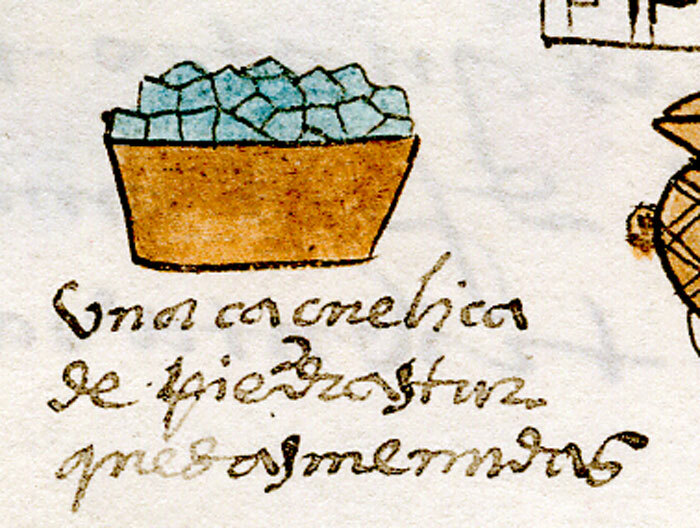 There they were being systematically dismantled so that the tiny polished mosaic tesserae [tiles] could be redeployed in other more fashionable ornaments’ (Director’s Foreword, p.6). 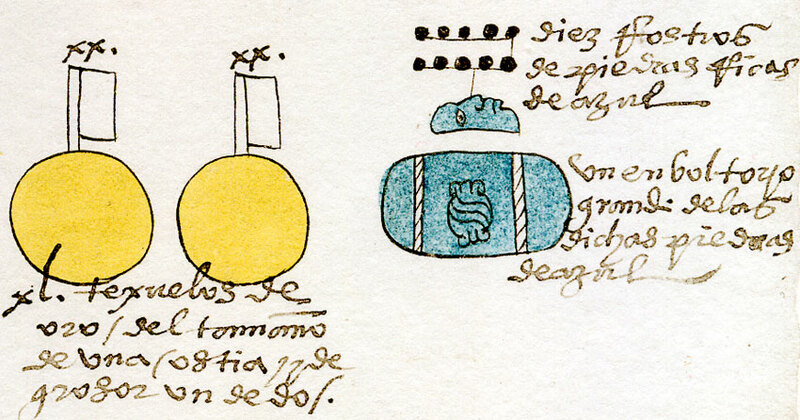 Much of the strength of the book lies in combining detailed scientific examination of the objects, insights into their construction and use, and placing of them into a wider cultural and historical context. This is in no small way achieved by tapping the fruits of research into both early codices and recently excavated mosaic finds, such as the astonishing turquoise mosaic disc from Offering 99 at the Templo Mayor (pic 4), which contains some 15,000 separate incrustations. 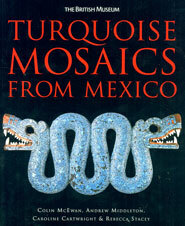 The authors admitted that much work remains to be done in identifying the specific sources of the turquoise in the British Museum objects: this is a huge task, bearing in mind that, as mosaics, they were laboriously pieced together by highly skilled artisans using individually pre-polished tiles provided by different traders from different original sources - generally believed to have been 1,000 miles or more away in (what is today) the SW United States. 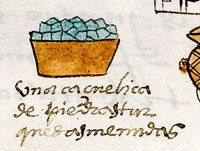 A reference in the Codex Mendoza (pic 6 - original now in the Bodleian Library, Oxford) shows ‘10 masks of rich blue stones’ and ‘one large packet of the said blue stones’ alongside 40 tiles of gold - all from the province of Yoaltepec (W and NW Oaxaca), though scholars believe this was merely the last trading stage in a long chain stretching far to the North. 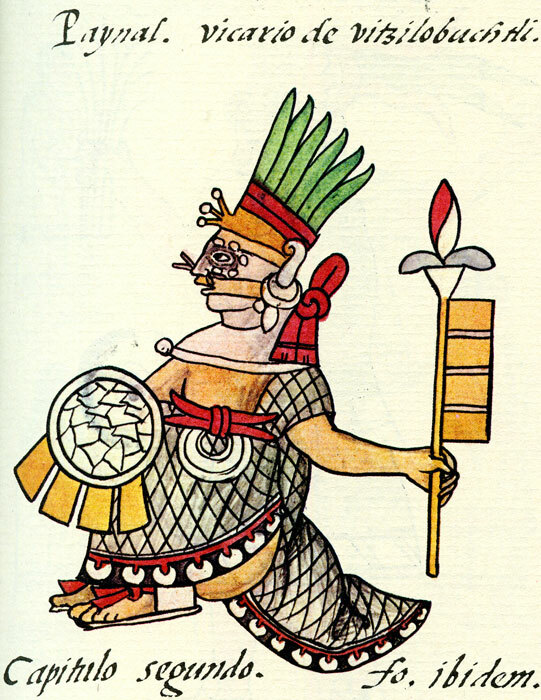 An example of evidence for turquoise-incrusted shields (learn more about Aztec shields by following the link below) comes from Book 1 of the Florentine Codex (pic 7), where the god Paynal (who represented Huitzilopochtli when there was a procession) is depicted holding a mosaic shield. 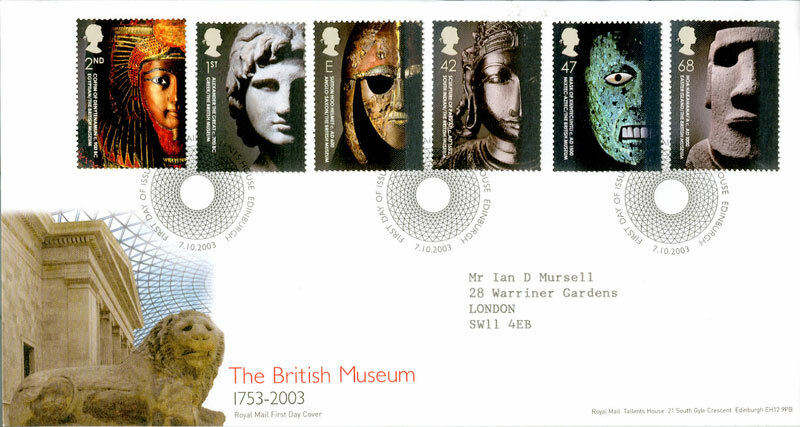 Reflecting the high status of the mosaics in the British Museum’s collections, the famous ‘butterfly’ mask (now thought most likely to represent Xiuhtecuhtli, the Aztec Fire God) featured in a set of GB postage stamps issued in 2003 to mark the 250th. 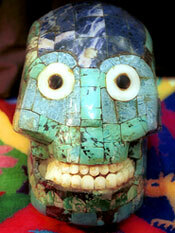 anniversary of the British Museum. 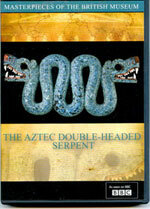 And the equally famous double-headed serpent mask featured on BBC TV in the ‘Masterpieces of the British Museum’ series. 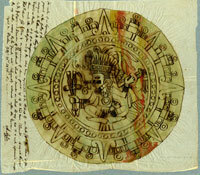 The 30-minute programme is now available as a DVD (pic 9) - follow link below to order, and the link to the BM Compass site for more information on this unique piece. 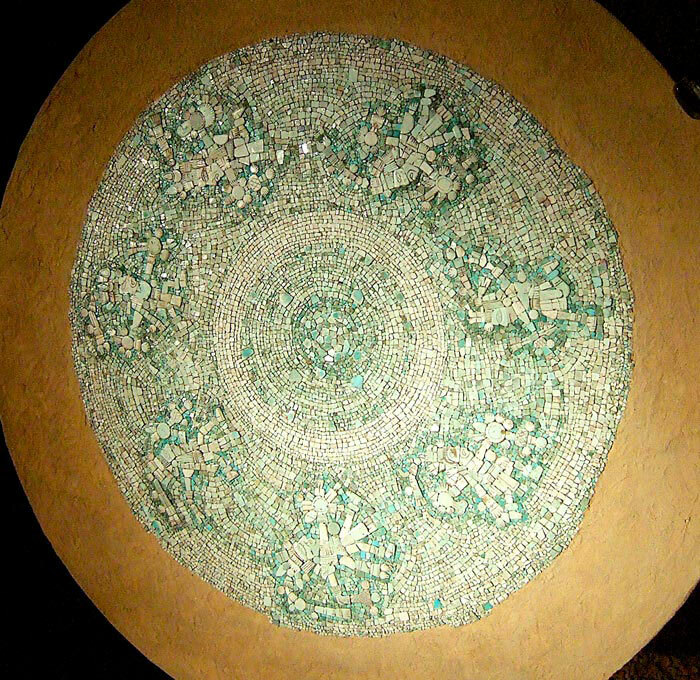 For a glimpse at some of the beautifully detailed research that has gone into the new book, click on our older ‘Masters of Mosaic’ preview feature, below. The book, with 96 pages and 103 colour illustrations, costs just £12.99 and is published by British Museum Press. You can order it online directly from the BM’s Book Store (see link below).